During the last year of writing here at The Witch, the Weird, and The Wonderful, I've noticed two things. One is the never-ending supply of fascinating tales and intriguing images out there to share. The other is how many fabulous like-minded folks there are about, with fabulous blog posts and tales just waiting to be shared. 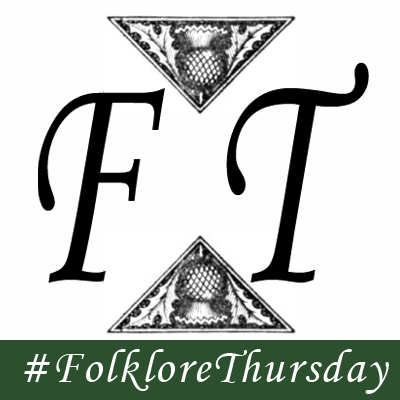 So, if you have something appropriately fabulous and folkloristic to share on social media, tag it with #FolkloreThursday each week, and join in the conversation.